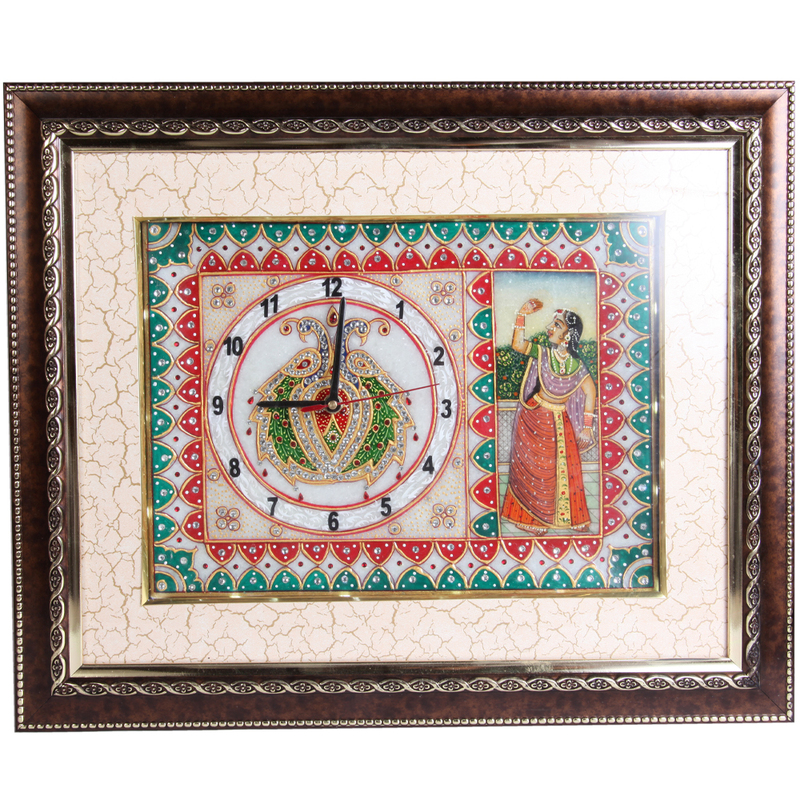 The Wooden Frame Marble Clock with Bani Thani Painting and LED Lighting features the most intricate of ethnic artwork on a pristine marble backdrop to Read More..make this watch a sight to behold. 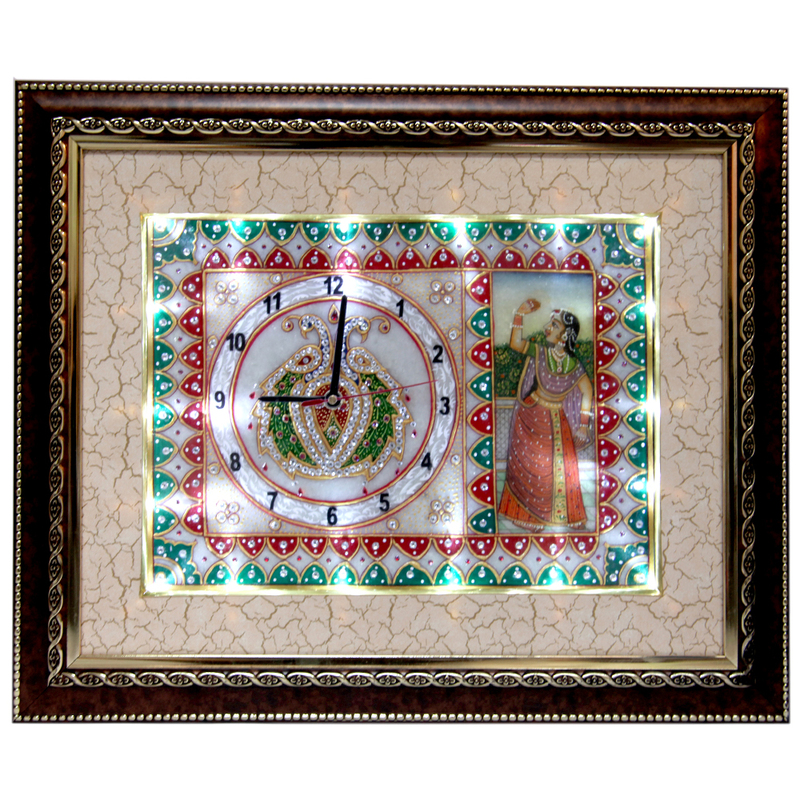 Moreover, the stately frame carved from the best quality wood adds to its regality, while the presence of the LED lightings at the corners provide a nice little contemporary touch to this otherwise traditional design. 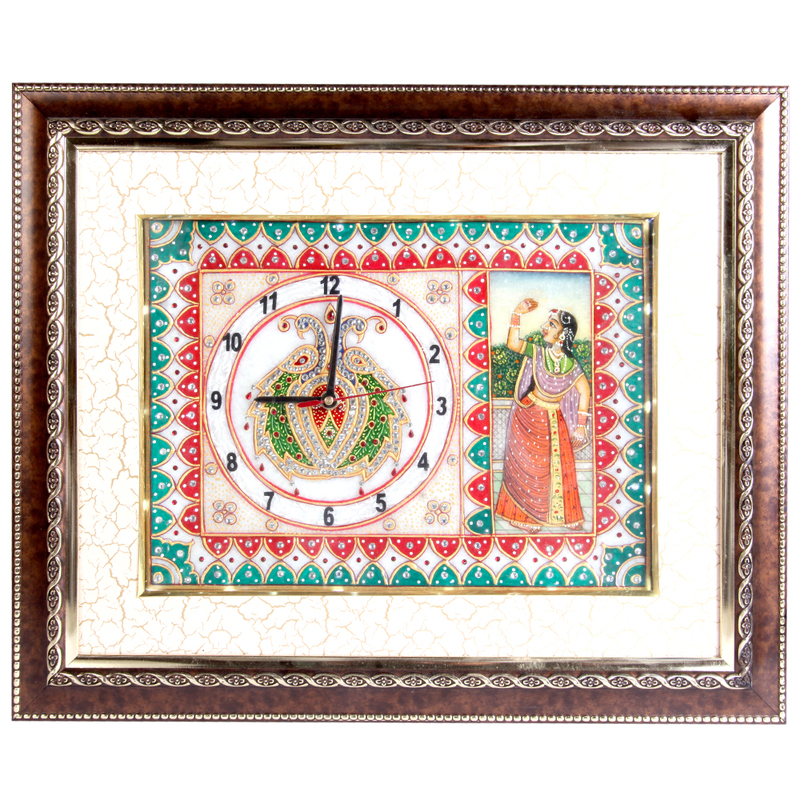 Therefore, this marble clock can do wonders to even the most impressive of home décors. Show Less..